It’s always difficult to judge a motorsport-based film or documentary when you are closer to the stories behind the stories because it’s easy to be picky, but in the case of 2017’s The Green Hell: The Story Of The Nürburgring it was hard not to be. It’s a film with so much promise, so many solid elements, that unfortunately in execution misses the mark and fails to cater for any specific audience, be it casual or niche. 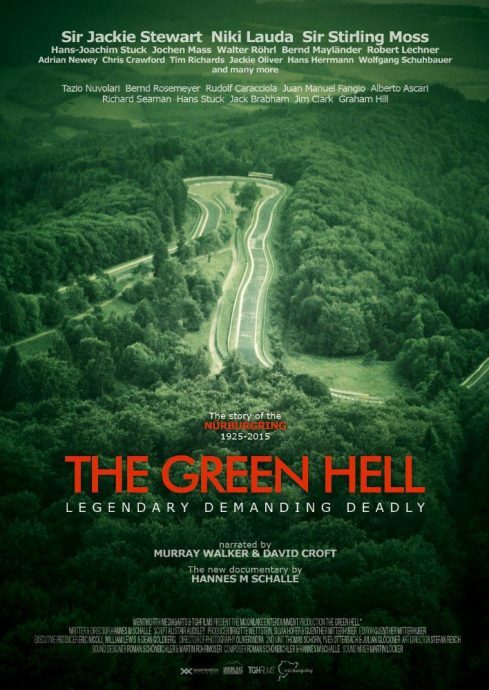 The Green Hell is a documentary which takes us through the history of the Nürburgring, with a focus on the rise, fall and rise again of the gruelling, world-famous Nordschleife circuit. What director Hannes Schalle succeeds in is captivating the audience with some eye-opening footage and pictures of the circuit being built, as well as a wide variety of race footage covering early era of motorsport at the ‘Ring and the subsequent Formula One era. The narration from David Croft and Murray Walker – especially during the early scenes – helps make it feel authentic, if a little disjointed at times. Unfortunately that’s the only aspect where the film truly shines. The superb footage, along with commentary from various personalities within the sport really captures the essence of what makes the Nürburgring a special circuit. Jackie Stewart, Stirling Moss, Jochen Mass, Hans Stuck and many more chip in with anecdotes, most of which are interesting and compelling. The point which is continually made throughout the film though, is the danger and challenge that tackling the Nordschleife at speed presents. It’s a key message that eventually becomes stale and repetitive, as ultimately there’s only so many ways you can tell the viewer that it’s the longest and toughest circuit in the world. Even the breakout pieces from the documentary don’t add enough variety. The sequences showcasing various historic cars like Bellof’s lap-record-holding Porsche 956 aren’t as dramatic or thrilling as they could have been. In the case of the Bellof segment, it confusingly seems to imply that he was killed at the Nürburgring – when he wasn’t – and follows that up with time spent watching Hans Stuck drive the car on the anniversary of the record, but at a speed so pedestrian that it fails to be impressive. Its other flaw stems from there. We see plenty of the circuit from short clips, but what it lacks is a true impression of its challenge from the drivers’ point of view. 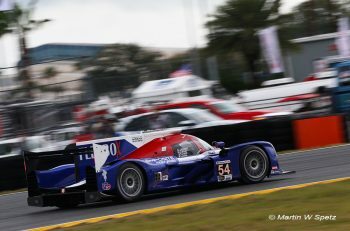 Using eight or so minutes of the film to just show us what a complete lap of the circuit is like on an on-board at full speed would have not only been dramatic, but also helpful in making the numerous tales come alive. When it eventually showcases Lauda’s accident in ’76, and tells the story of the end of F1 at the Nordschleife, it takes a whole new direction, just at the point in which it appears to reach a natural conclusion. It’s a second act which unfortunately adds little aside from the odd clip of interest and minutes onto the running time. The big issue here is that it feels very sponsor-driven, as its sections about virtual racing, driver coaching and tourist laps are almost straight-up advertising, and unmistakably out of place. Even when Schalle shows off the allure of the VLN championship, he makes the point of it being free admission for spectators, which is great, but there’s a time and place for that, and frankly, better ways of convincing people to go to a VLN race. 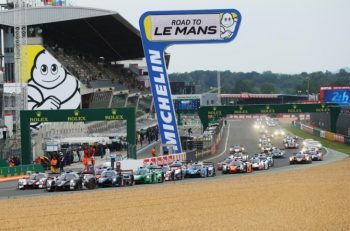 For that reason it comes to a close lacking any real direction, so quick to gloss over the importance of the Nurburgring 24 Hours, DTM and sportscar racing at the ‘Ring that it will leave those with an interest in other aspects of motorsport disappointed and I’m sure, anyone who isn’t accustomed to them, confused. The Green Hell goes into every nook and cranny of Formula One, and runs through the Group C and DTM races in a matter of minutes. Too many times does it present itself as a film for casual viewers, before moving on to content that assumes a lot of prior knowledge. Is The Green Hell worth a watch though? Yes. For me it holds a similar place in my mind to the film Senna, which excelled enough in its showcase of archive footage to make it worth paying to see whatever you thought of its chronology and validity. Because of this though, it would have been better served as a shorter production, that just focused on the history of Formula One on the Nordschleife, which is a shame considering the potential of the subject matter. 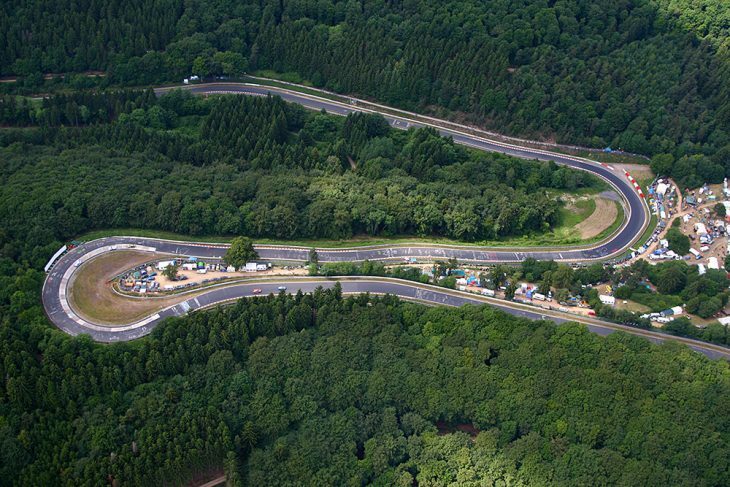 The Green Hell: The Story Of The Nürburgring is not a bad documentary, but it isn’t a great one either.